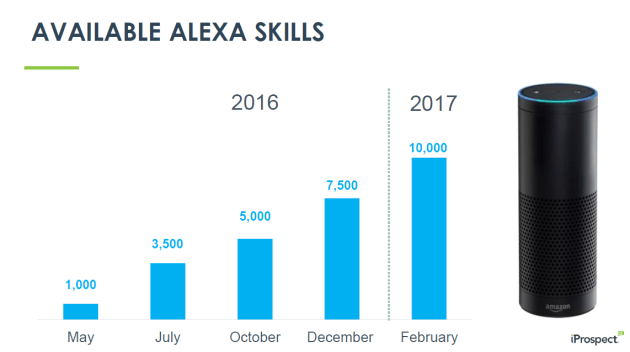 Smart speaker adoption is occurring at a pace akin to the rapid adoption of smartphones a decade ago. One-in-six (16%) Americans now have a smart speaker device in their home, up 128% since January 2017, according to a new survey from NPR and Edison Research. A similar trajectory is predicted to follow in Australia, with Google Home launching last year and Amazon Alexa available from February. These two digital giants are set to go head-to-head in the lucrative voice marketing arena. Amazon Alexa has barely found its feet in the Australian market, but in the US it owns roughly 70% of the smart speaker market, reports eMarketer. Carat head of innovation Robert Tilt said it’s not just Amazon Alexa that is yet to achieve cut through in Australia, but more broadly, the voice marketing space. It’s still in its infancy and most marketers are yet to take the channel seriously. “If we look at how Alexa has dominated in the US, that should be where brands are looking to for learnings, but at this stage they don’t believe the uptake will be mirrored in this market,” he said. It sounds omnious, so while brands might not be taking it seriously yet, they should be. Tilt noted that personalisation is more important in modern marketing than ever before, which means if your marketing and content isn’t personalised, a user will move onto a competitor. The era of vocal command is no different. TBWA’s Integer set up a new business unit to help brands succeed on Amazon’s e-commerce platform. It’s led by Wylie Fowler in Australia. The e-commerce consultancy encourages and educates brands on how to get the basics right on the Amazon platform. Fowler agreed the general response to Amazon Alexa has been lukewarm, adding that marketers are “sitting on their hands” and not taking advantage of the opportunity. “Once Amazon fully kicks off in Australia, voice adoption will move quickly and if you don’t have the basics right, and you haven’t nailed its e-commerce algorithm, you aren’t going to win on Alexa,” he said, adding that Amazon still hasn’t reached its full potential since launching in Australia last year. Fowler predicted that Amazon is shaping how we’ll be shopping in five years and advocates for brands to be at least testing the voice platforms like Alexa. 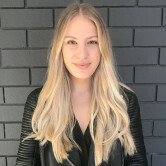 Another agency that is keen to harness the power of voice activation is Deepend, which last year launched Australia’s first voice experience agency, Versa, in partnership with US-based voice experience agency, Rain. For Kath Blackham, managing director of Versa, getting voice right isn’t about the technology. It’s about the human element. “The experience has to be flawless or the user will be frustrated and stop interacting with the brand altogether,” she said, adding that a human-centred design approach is the key determining factor for success with voice. Blackham is presenting at least twice a week to boards, management and marketing teams on the opportunities of voice and agreed brands globally are not realising the full potential of voice marketing. “My view is that you should run towards a threat like Amazon, not away from it,” she said. So far, Versa has been building voice solutions across entertainment, travel, finance and FMCG sectors for clients including Domino’s, Flight Centre and Village Cinemas. Creative agency The Works, through its specialist messenger agency On Message, has also been working with brands on how they can best integrate into Amazon Alexa. With no ad slots available to buy, yet, on Amazon Alexa, The Works co-founder Douglas Nicol said brands should figure out what value they can provide the user through what Amazon calls 'Skills'. Skills are the utilities and capabilities that third parties can tap into to create apersonalised service for users. Think of them like apps for the voice platform. 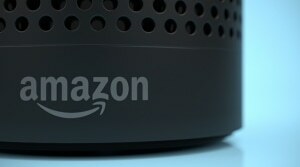 He said that brands should avoid making voice-based interactions too complicated, noting simple tasks such as setting a timer, playing a song and reading the news the most used functions on Amazon Echo in 2016. While brands need to test and learn and move towards using voice, it should be as a utility not a gimmick. “The worst thing you can do in this world of voice is make it a fashion accessory,” he said. How are brands using voice marketing? Australian wine start-up Vinomofo wants to avoid the gimmicky nature of voice devices and is zoning in on how it can use the Alexa platform, marketing director Kip McMillan said. “What food does Vinomofo recommend with a 2015 Chardonnay from the Yarra Valley”, to reach new audiences and add more value to existing customers. “I think the smartest way to leverage Alexa is to embrace it. We know this type of search is here, people are using it, so let’s embrace it and integrate it,” he said. Last year, the pizza chain rolled out a Siri-style ‘voice ordering’ system. Tide created a stain remover skill that offered detailed, step-by-step voice instructions on removing more than 200 types of stains. Purina created a skill to offer up detailed information on various dog breeds. This first appeared in the AdNews March Magazine and is the second part of a four-part series. Stay tuned for more on search marketing businesses and its music and delivery ventures. Read Amazon's impact on Australian retail here.